So you’ve made the decision to buy a house in Holland. Alone or together with your real estate agent, you’ve found the perfect place and you can’t wait to move in and call it yours. Congratulations! There are many good reasons to purchase a house in the Netherlands: it is a smart investment with great financial incentives and tax benefits, and of course you get to decide how you want to decorate your living space, whether you want pets etc. But before moving forward, you should know that the mortgage process in Holland is quite complex. In order to shed some light on this process and avoid unnecessary surprises, we have created a quick walk-through, to make the purchase of your new home a cakewalk. 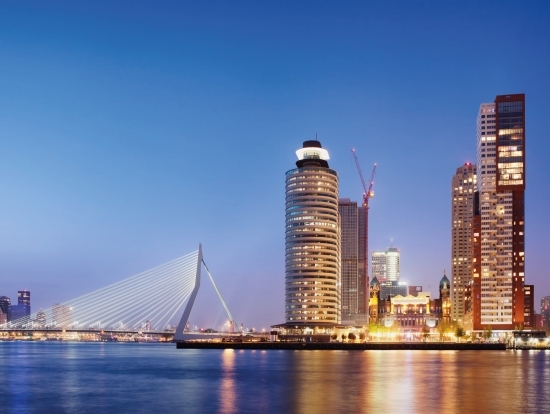 Below are the five steps to take to become a homeowner in the Netherlands. 1. Check if you meet all requirements to get a mortgage. Dutch banks, as well as your mortgage provider, require a statement from your employer as well as proof of income. If you are self-employed, it might be more difficult to get a mortgage. In any case, you will be asked to provide details on all of your net income over the past three years. Whether you are an EU citizen or not also makes a difference: banks may enforce the requirements for buying a house in a stricter way for applicants from outside the EU. If you are eligible for the 30% tax reimbursement rule for expats, you may be able to get a better mortgage deal. • All additional costs that come with purchasing a property. Your mortgage interest payments, as well as any increases in the value of the house, are tax-deductible, as long as the house is used as the main residence, for a maximum 30 years. If you decide to leave the Netherlands but want to keep the house, these tax deductions no longer apply. 3. After you’ve made an offer on the property and it has been accepted, you can sign the purchase agreement at the notary’s office. You will probably need to pay the 10 percent deposit to the notary shortly thereafter, or have your mortgage broker arrange a bank guarantee. Make sure the agreement is non-binding in case you can’t get the funding. • Annuities mortgage: in the first years, you pay less, and the payments consist mostly of interest. In time, as your debt decreases, you pay off faster with lower interest payments. • Linear mortgage: you pay a fixed amount plus interest. As you reduce your debt every month, the interest you pay is also reduced. • Other interesting options include the interest-only mortgage, credit mortgage, investment mortgage, life insurance mortgage, savings mortgage and the hybrid mortgage. With the first two models, you are entitled to mortgage tax relief. However, this may not be the case with other models. 5. After you’ve submitted all necessary documentation to your bank and/or mortgage provider and your application has been approved, you can finally sign the property title deed with the vendor and your bank at the notary. You still need to select the insurance premiums appropriate for your situation and set up the utilities, but then you can finally arrange the move. • Monthly mortgage payments are lower than rent payments in most regions in the country. This is the case if, for example, you make interest-only payments for up to 30 years. But even actual mortgage payments are often lower than rent prices. • Rent costs increase every year, sometimes by as much as 10%. By contrast, mortgage payments are usually fixed. • Mortgage interest payments and the closing costs of your mortgage are tax-deductible. • By paying off your mortgage you build up equity. As the housing market keeps trending upward due to excess demand, especially around the cities, you can profit handsomely when you sell again. • You have more options finding a place that matches your wishes and more freedom to renovate as you please. Having said that, buying property also entails quite a few obligations, like paying property taxes, council taxes, insurance premiums and maintenance and repair costs. Once the fixed interest rate period ends, your monthly payments are likely to go up. If house prices go down, your property decreases in value and you could make a loss when selling. Still want to buy? Good! The first move to make is finding yourself a good makelaar (real estate agent). As the housing market is very tight, especially in the Amsterdam, Haarlem, Utrecht, Delft and Leiden areas, you can use all the help you can get. Most agents will point out that Rotterdam and Den Haag still have reasonable housing prices, but those cities are catching up fast. Newly-built communities without a historical center (called vinex neighborhoods) also offer affordable options in the Randstad area, but often lack a community feel. For the rest of the country, outside the Randstad, there are still many good offers to be had in small towns and medium-sized cities that are well-connected by rail and highway. For those who want to buy a house in Amsterdam, bear in mind that the city has for years been among the ten fastest-rising property markets in the world. You need to have a lot of patience waiting for something to open up, be quick to jump on a new opportunity, and have sufficient resources to pay hefty closing costs. Hiring a good real estate agent, who knows the market also outside of the ‘ring’ (the A10 ring road), can make all the difference between paying a fair price instead of top euro. Another thing to consider is that the municipality of Amsterdam retains leasehold (erfpacht) on most of the land, which means you only own the property that is sitting on it and you have to pay the city an annual ground rent, which can impact your mortgage for the house itself. Speaking of mortgages, if the 30% rule for expats applies to you, in which case 30% of your income is tax-free, chances are you will be able to borrow more from the bank. But as the Dutch government is shortening the 30% rule duration from eight years to five in 2019, this is likely to affect your application negatively. Still, in the end your application will only be judged on your financial situation and your past and future earnings. If you can prove that you’ll be able to pay off your mortgage, the insurance and (council) tax payments, buying a house should not be a problem. With the mortgage calculator tool of mortgagemonster.nl you can calculate the maximum mortgage you can get in the Netherlands.